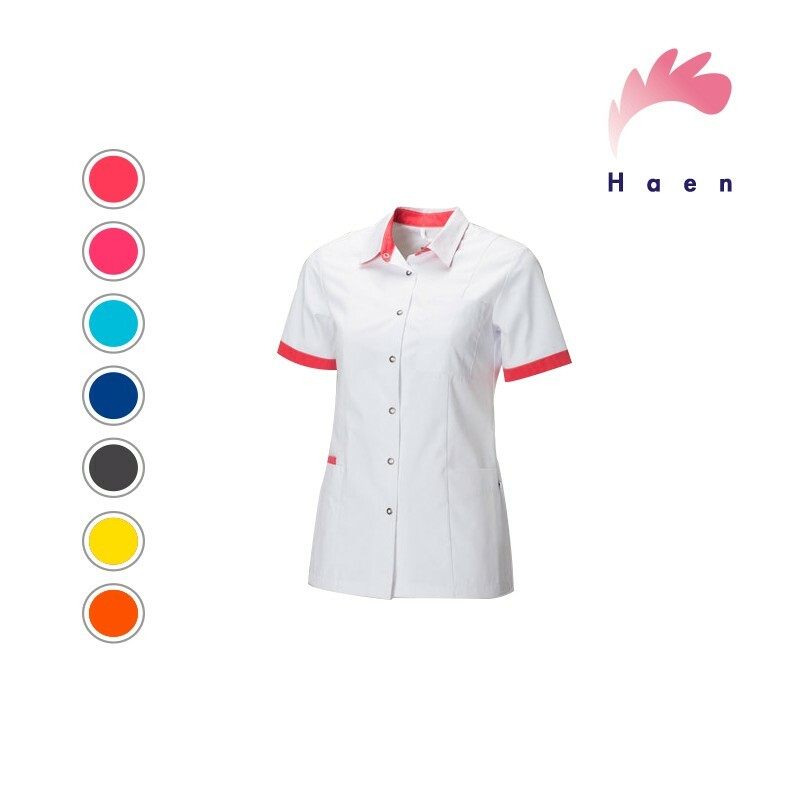 Nurse Uniform Fijke has a form fitting shape and with its cheerful colour contrasts the uniform looks traditional and professional with a little flair. 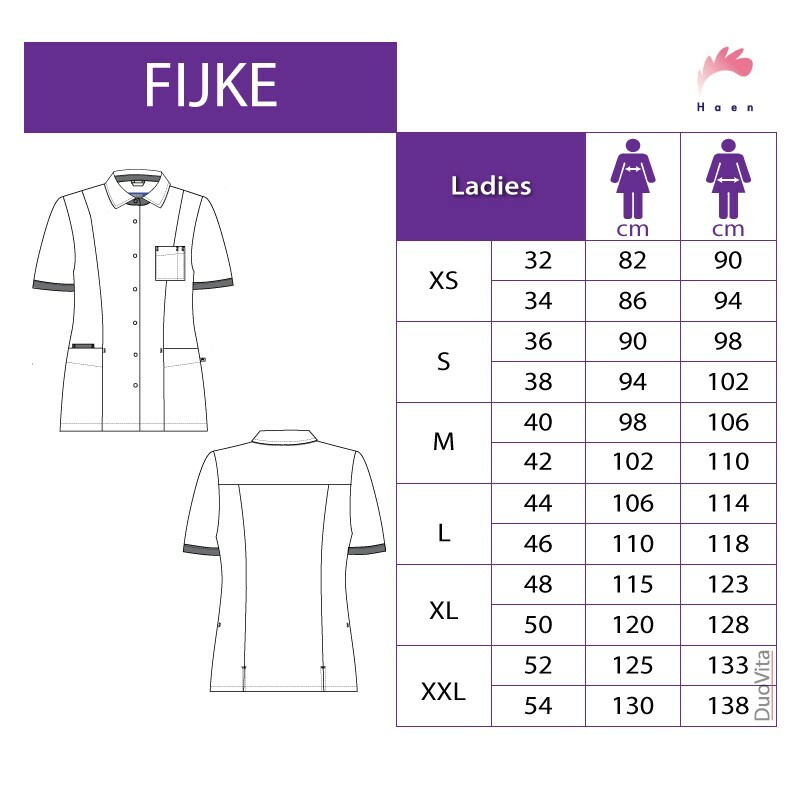 Nurse Uniform Fijke has a form fitting shape and with its cheerful colour contrasts the uniform looks traditional and professional with a little flair. 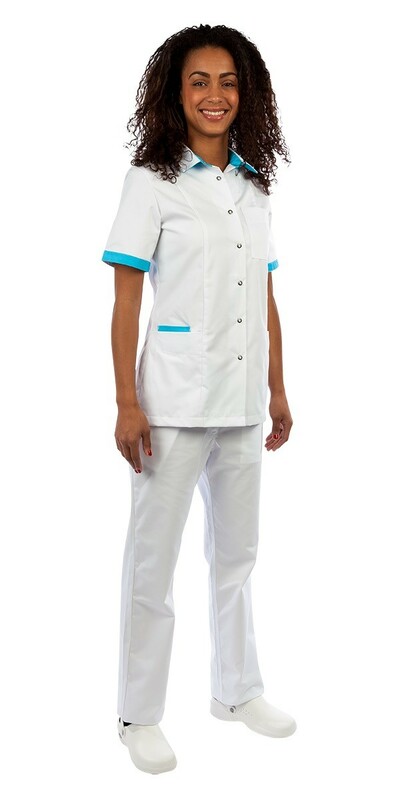 The front closes with snap button studs and back slits ensure ease of movement. 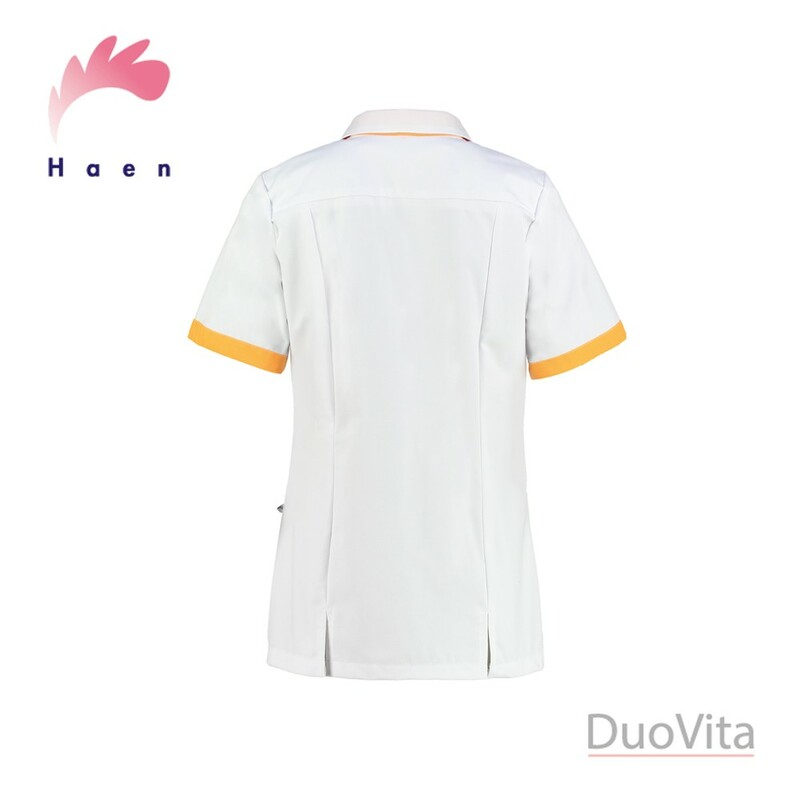 The front patch pockets provide easy access to all your work equipment.